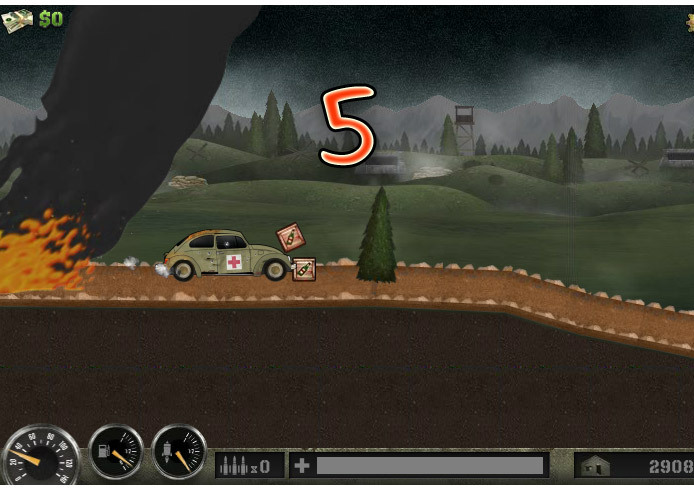 Earn to Die 5 is all about an allied combat medic who must get to his base and help his wounded comrades. Unfortunately, standing in his way are hordes of german soldiers more than eager to take him down. All that he has that can help him get to his base at first, is an old car. But it’s all he’ll need as he can upgrade the car’s parts and slowly-but surely build a car that is ready to take down the enemy soldiers. 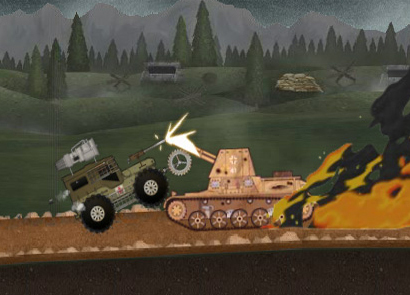 You only have one car but with all the upgrades available at your disposal, it’s all you’ll need to run over enemy soldiers and obstacles in your way. 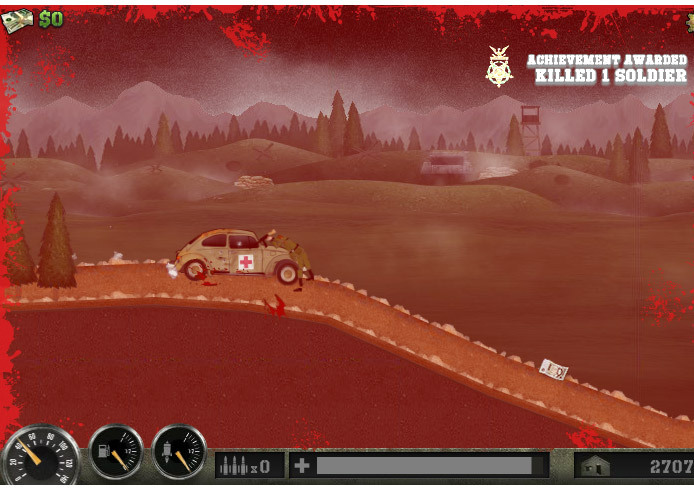 Use the directional keys to move your vehicle through the war torn streets of the game. The up key moves the car forward and accelerates it. The down key moves the car slows it down or hits the brake. The left key tilts the car up, while the right key tilts it down. Use these keys to stabilize the car and to keep it moving at a steady pace. When you have gotten the rocket boost upgrade you can use it with the x key. 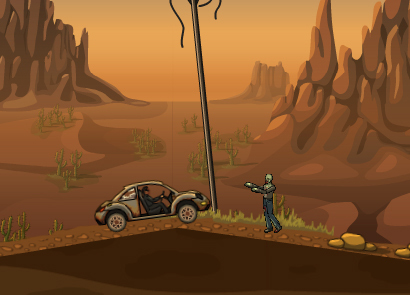 The whole game revolves around your small car. It’s a small and old car to start the game with. 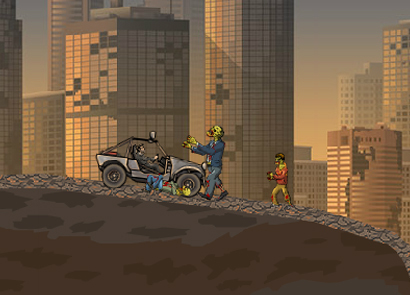 At your first tries you’ll only be able to move at a very short distance before running out of fuel. But do not despair. With these initial and short attempts, you will earn money. Keep repeating the process and before you know it you’ll be able to earn a lot of money. Here is where you will be able to purchase the all important upgrades for your vehicle. Use the money to buy upgrades. These upgrades will improve your car’s performance in a number of very significant ways. The engine upgrade will improve acceleration and fuel efficiency plus power. The tuning upgrade will improve engine performance and make your car lighter. A lighter car will mean more speed and maneuverablity. The wheels upgrade will improve the car’s handling. It will also make it better suited for rough and uneven terrain. It’s also good for running opponents down. The suspension upgrade reduces flip and stabilizes the car better. Fuel keeps the car running and moving. No fuel and it comes to a dead stop. 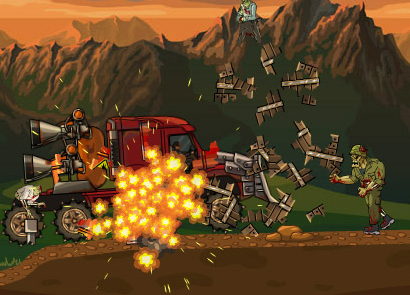 Armor gives the vehicle more defense reducing damage taken and making it stronger and better suited to ram through obstacles. Rockets give the car a significant speed boost. Faster speed means more distance to be travelled and more obstacles to be smashed. 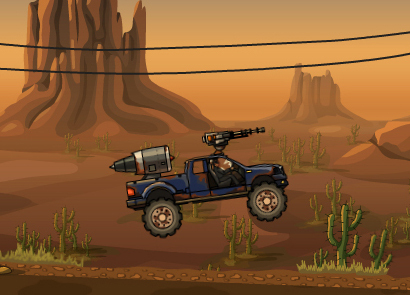 Mounted guns will automatically fire at opponents for you. Taking down opponents this way will mean you’ll take less damage because there will be less soldiers firing at you. Purchase ammo to fire the gun. When the ammo runs out, it will stop firing. There are three levels to play and there is also an achievement system. Achieve a significant feat and you earn a medal in the game for your trouble. 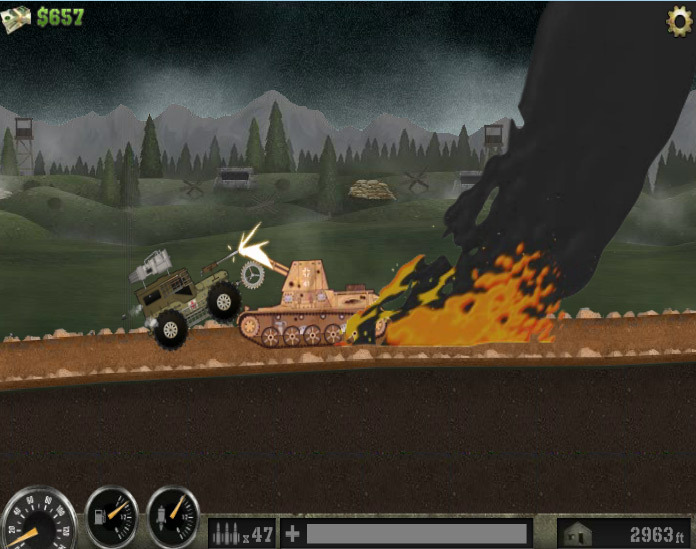 The achievements range from extremely simple, like taking down your first enemy to very difficult like taking down a tank. 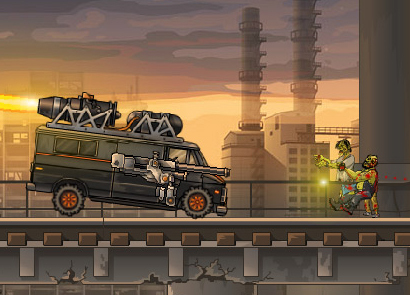 After getting these upgrades for your car, progress to purchase 2 other stronger vehicles for the remaining 2 levels, the army jeep and the army van. Both vehicles are upgraded the same way, with the the same parts, but they are just more powerful than the first car. With all this upgrading and purchasing to do in the game, you’ll be playing the game over and over again to get all the upgrades and medals. So get ready to take down your enemies!